We use high quality Cree LEDs with lenses in front which are designed to illuminate the specific area and reduce glare to areas not intending to be lit. They may also be used to replace lighting where planning permission would otherwise be required as these are temporary fixtures designed for quick assembly and disassembly on location, often in the dark. Feed AC power via an external power supply. 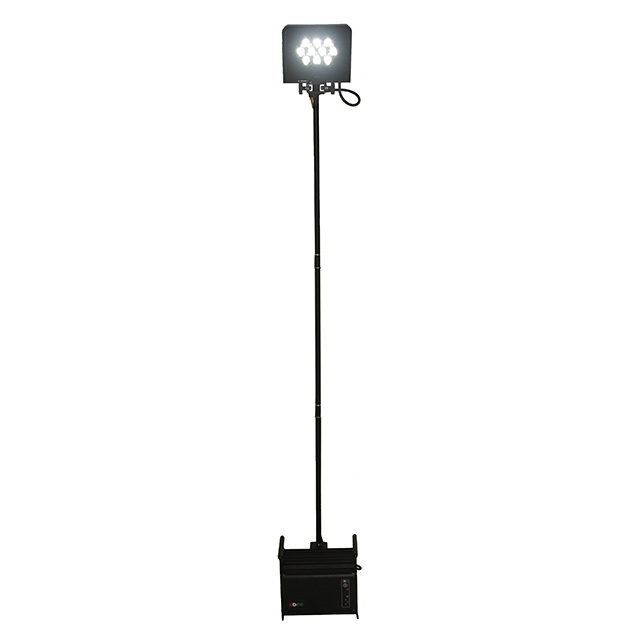 A light stand which can raise the fixture up to 3.5m. Lighting diffusers to spread beam up to 50 or 80 degrees. Market leading battery powered floodlight: Flood30 Wireless LED Floodlight is an extremely high-brightness, battery powered LED illumination unit, fully rated for outdoor use (IP65) with highly powered neutral white LEDs. 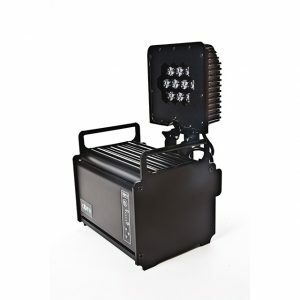 At a massive 16,000 lumens equivalent to 1.5kW tungsten halogen the FLOOD30 is designed for instant illumination anywhere there’s no power and can light to over 100metres (eg useful for finding a casualty in the distance). 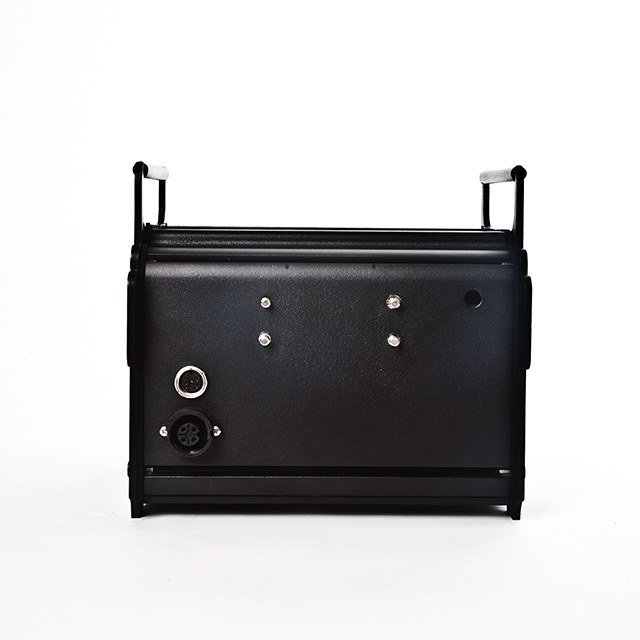 The unit can be powered &/or charged from 110/240V mains power, all in a compact 25cm cube rugged case. The head folds flat with lens protected for neat stowage; it can be removed for mounting on multiple accessories including a 3.5m tripod or 1.2m/2m pole system attached to the base unit (Industrial models). The unit can also have integrated mains-power (no battery) for permanent installations. 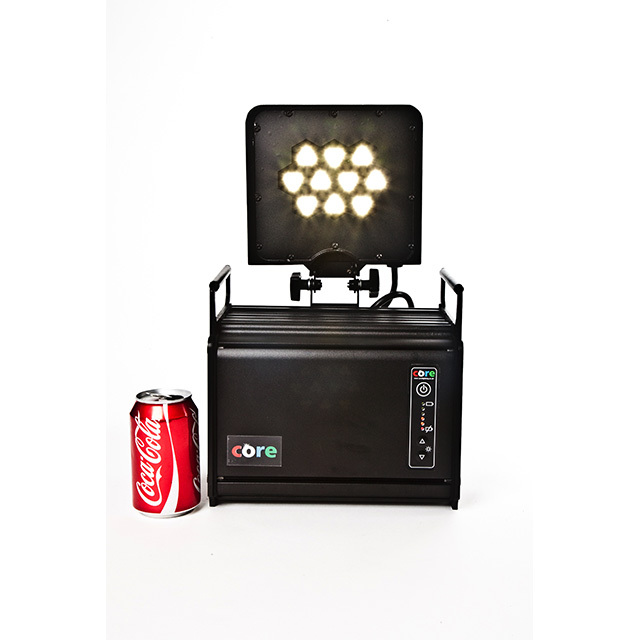 The range includes battery powered flood lights, magnetic spotlights, portable LED flood lights, battery lighting for events, spotlights for events, wireless flood flights and battery uplights.